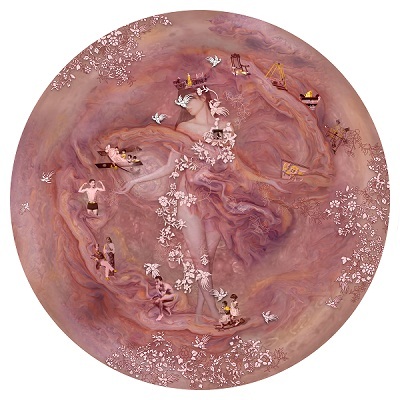 Emerging artist Tanya Mehta’s fourth solo show – and her first in Mumbai – includes works in new media, where she flirts with fine art prints, lenticular prints and animated light boxes, using poetry to further illustrate her concepts. The creations are seemingly surreal – transporting you into imagined worlds. The Unity Of Opposites is on display at Rukhshaan Art Gallery (2nd Floor, Dresswalla House, Colaba), Mumbai until August 19. This is the last weekend you have to catch photographer Leonardo Pucci’s evocative works at an exhibition in the capital. His series, Episodes (Without A Real Order) capture people in their most private and intimate moments, making for an arresting collection of images. If you’re a camera wielder yourself, here’s one exhibition that’s sure to inspire. Episodes (Without A Real Order) is on display at Nature Morte (A1, Neeti Bagh), New Delhi until August 4. If you’re looking for a way to eat healthy but still want to head out this weekend, The Clearing House has the perfect solution. In collaboration with Raw Pressery, the restaurant has come up with a brunch menu that includes gluten-free dishes to accompany the juices. Enjoy a spread of healthy salads, dim sums and desserts coupled with skinny cocktails – all without the guilt. 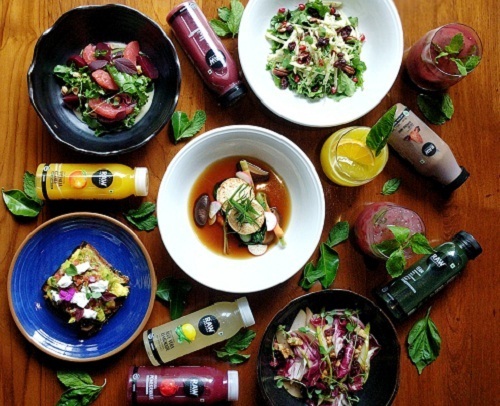 The detox brunch in association with RAW Pressery will be on Saturday and Sunday between 12 – 4 pm, at The Clearing House (13-15 Calicut Street, Ballard Estate) Mumbai. The brunch is a la carte. You enjoy your occasional glass of Indian vino but want to know where it comes from? Adventure travel company Banjara and Gypsy is here to help, with its Sunday getaway that offers a trip to the Grover Zampa vineyards — a short drive from the city, where you can learn the process of wine-making, from cultivation to the crushing of grapes and the final packaging. Try your hand (or foot) at some grape-stomping too, and end your morning tour with a wine tasting session followed by a lunch buffet. After all, isn’t Sunday supposed to be all about wining and dining? The vineyard visit with Sunday lunch will take place in Bengaluru on August 5, 10:30am-4:30pm. If you’re a fan of the blues, here’s just the weekend gig you were waiting for. The New-Delhi-based six-piece band Big Bang Blues – that finds influence in Blues, R&B and Rock – is performing live at the Piano Man Club in the capital. Catch them this Saturday as they aim to reinvent experimental music, including Southern-Rock. The Big Bang Blues is playing at The Piano Man Jazz Club (B 6-7/22 Safdarjung Enclave Market, Humayunpur, Safdarjung Enclave), New Delhi on Saturday August 4 at 9pm. Presented by Madras Dance Arts, Duende is a dance-theatre performance in three acts, by an all-girls dance ensemble. The first act, Depaysement, depicts the journey of an ordinary person, displaced from their home due to war. White Noise takes a close look at mental illness and Her Story questions how we look at history, usually written with patriarchal norms. With hard-hitting themes, this dance performance is sure to provoke viewers to question the ways of our contemporary world. Duende is showcasing at Jagriti Theatre (Ramagondanahalli, Varthur Road, Whitefield), Bengaluru on August 4 and 5, at 3pm and 6:30pm.